My mom lives off yogurt, and I realized how great it is for your system when my family came down with the flu and she came and helped and NEVER GOT SICK seriously nothing, my dad also helped because it was so bad that both my husband and I were out and he also got sick so it wasn't food poisoning. 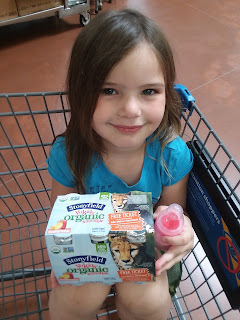 Stonyfield is one of my mom and kids favorites. I also enjoy them but I still was not that big of the texture of yogurt. 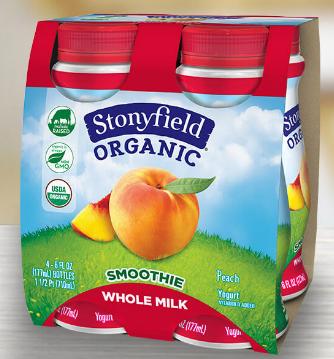 Stonyfield now has come out with drinkables which I have replaced my morning chocolate milk with Stonyfield's Drinkable Yogurt, as of right now it comes in Peach and Strawberry, I really enjoy the strawberry. This year my daughter caught some bug that refused to let anything stay in her body, the only thing I was able to get her to drink and stay down was the Stonyfield strawberry yogurt, sure they have kids drinkable yogurts but they seem to have more sugars than the Stonefield brand. I feel as though I am a good parent for giving my kids better options in food choices. Stonyfield has also come out with Double Cream Yogurt but I haven't located it yet so it might had not hit the shelves yet? but watch for it. I personally cannot wait for it, I am excited to try it in a smoothie. 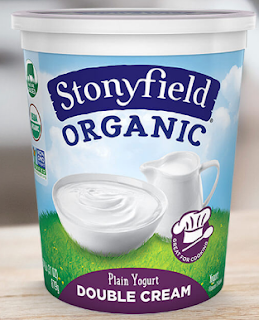 Following successful 2016 launches of Whole Milk Greek Yogurt and Whole Milk Grass Fed Yogurt, Stonyfield, the country's leading organic yogurt maker, introduces new Whole Milk Drinkables and Double Cream Yogurt. 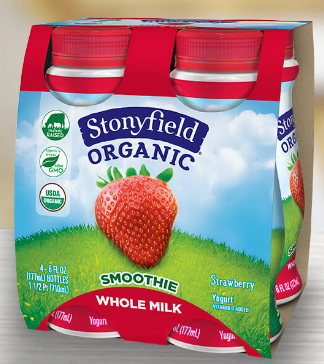 The new products are the latest in Stonyfield's commitment to investing in its Whole Milk line. The company sees tremendous growth opportunity in this category as more and more Americans are embracing full-fat dairy. As with all Stonyfield products, the Whole Milk Drinkables and Double Cream Yogurt are made with USDA Organic milk without the use of toxic persistent pesticides, artificial hormones, antibiotics, and GMOs. Whole Milk Drinkables – Perfect for an on-the-go protein snack, the rich and creamy Whole Milk Drinkables contain 6g of protein per serving and are offered in two delicious varieties; Strawberry and Peach. Available at Whole Foods across the country, as well as other select retailers, the 6oz drinkables sell as four-packs and retail for $4.99. Double Cream Yogurt- An indulgence made better with organic ingredients, the Double Cream Yogurt is a good source of protein and an excellent source of both calcium and vitamin D. It is available in Plain and is the perfect size for recipe creation. It retails for $4.99. Stonyfield has a huge line of products which you can find here. You can find the Stonyfield Drinkables at your local grocery stores and watch for the new Double Cream to hit shelves. Also this year check out the Save animals with cows act by Stonyfield brand: At Stonyfield, we're really into cows. And the cows are really into healthy food, healthy people and a healthy planet. So they started a Mooovement, sponsoring a program that gives kids FREE access to zoos and aquariums across the country—bringing them face-to-face with the planet's most endangered species. Learn more here!